Summer is the season for fun fashion, fresh home décor, new skills and outdoor improvements, so we poked around in some of our favorites places to find these new warm weather items and activities. 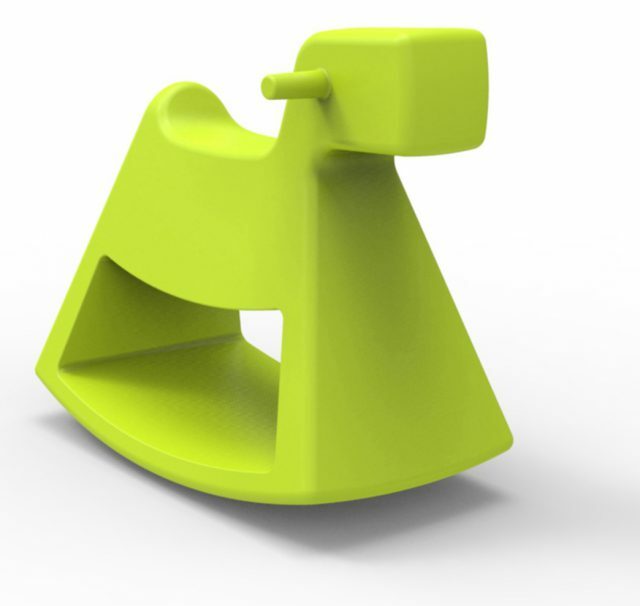 Eero Aarnio, the Finnish design giant who rose to fame with his 1960s “Ball Chair,” came up with this sleek, contemporary version of the rocking horse in 2016. Made in Spain by Vondom and named for Don Quixote’s horse, Rosinante, it’s available in children and adult-sized versions through Museo, (816) 531-3537 or www.museousa.com. Master beader Rachel Rose will lead a handwoven beading class at the Nelson-Atkins Museum of Art, which stocks her designs in the museum store. Participants will view examples of skilled beading in the museum’s galleries of American Indian and African art and learn basic beading techniques, including the right-angle weave, an ancient, off-loom American Indian technique, and spiral cord. The class convenes from 10 a.m. to 12:30 p.m. Saturdays, July 8 to 29. The cost is $80 and includes materials. To enroll, www.nelson-atkins.org. 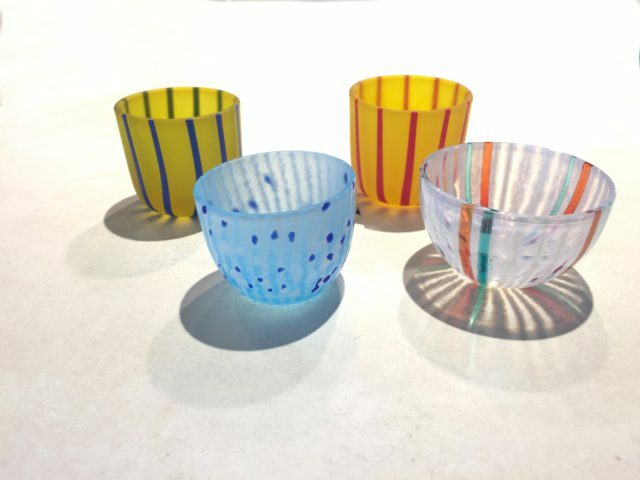 Celebrating its 40th anniversary this year, Asiatica carries these summery striped glass sake cups from Japan, where it’s customary to have different dishes for every season. They’re priced at $45 each, www.asiaticakc.com. Available through Birdie’s, these “Lip Service Sunglasses” by Wildfox make a statement on a par with the shop’s signature lingerie line. And check out the Popcorn Socks, patterned after the classic red and white striped theater popcorn box. 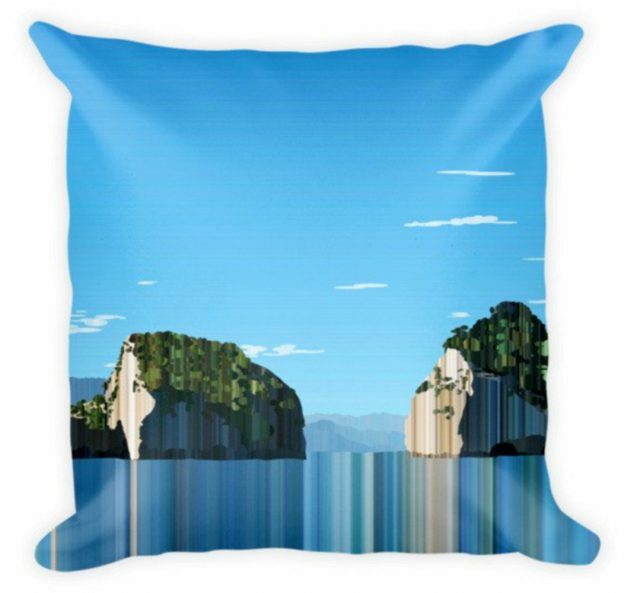 Make an armchair escape gazing at this “Los Arcos” pillow, inspired by Mexico’s Los Arcos de Mismaloya (The Arches of Mismaloya) in southern Banderas Bay, by Kansas City artist Gary Rockhold, available at the Kemper Museum shop. 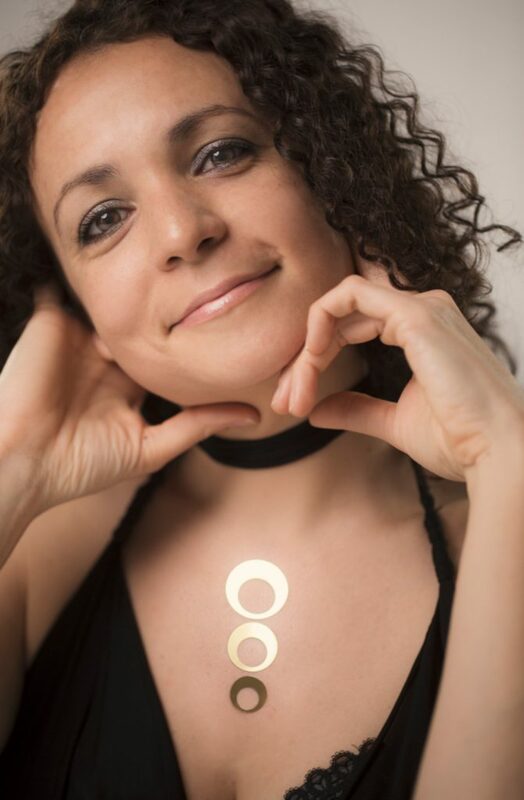 With Tattuage, her new line of wearable art inspired by the ocean, shadows, the cycle of life and the beauty of nature, Cheryl Eve Acosta has created the perfect summer accessory. 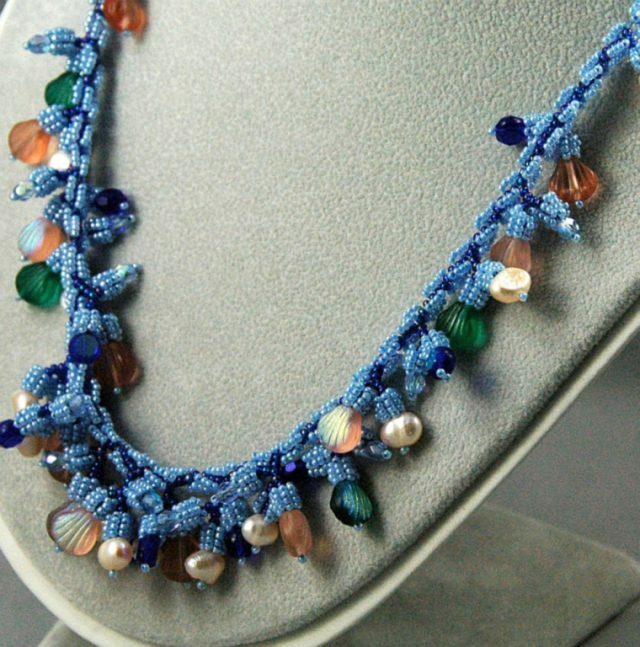 The Kansas City artist, who holds a BFA in Jewelry from New Mexico State University and an MFA in Jewelry and Metals from Rhode Island School of Design (RISD), has been making a splash in the jewelry world since the age of six, when she would gather washed up shells and corals and turn them into truly unique pieces of jewelry. Born and raised in Puerto Rico, Acosta continues to find inspiration in the ocean surroundings of her childhood and her memories of annual family visits to France, where she developed her deep love of fashion and couture. Acosta’s Tattuage jewelry emerged in 2008 while she was on spring break from RISD in Mexico. She performed shadow projections on the body, working with silhouettes and shadows. Acosta took that experience back to her studio and translated it into temporary tattoos. She then decided to evolve those temporary tattoos into wearable metal versions. Acosta’s jewelry is on view in the Kemper Museum’s “Women to Watch” exhibition through Jan. 23. On Sept. 30, she will offer a wearable metal art workshop for teens at the museum. For more information, www.kemperart.org. 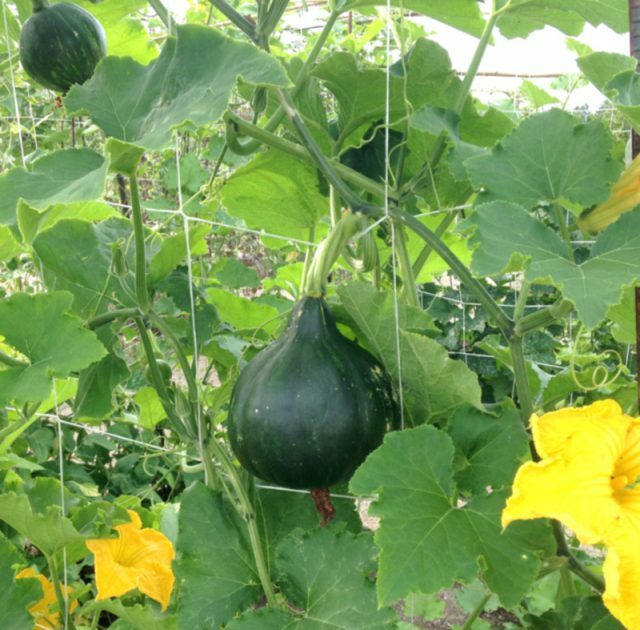 Plan a visit to Powell Gardens in August, when the Seminole Pumpkin, a recently added cultivar, will show its brilliant yellow blooms and deep green globes in PG’s Heartland Harvest Garden, the nation’s largest edible landscape. 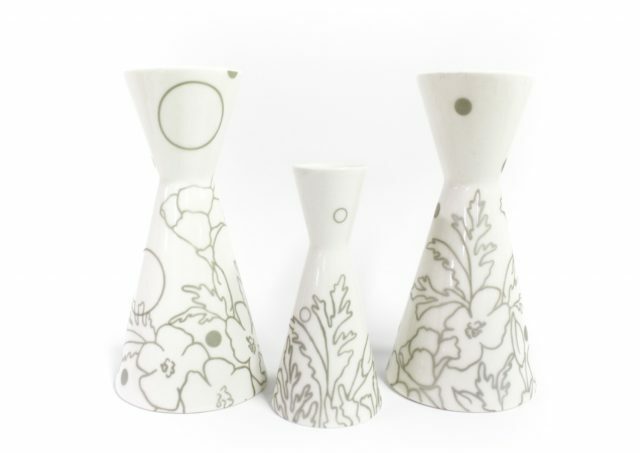 A printed paper towel pattern found at the back of a kitchen cupboard in an abandoned house in southwest Kansas inspired these bud vases ($45 small, $80 large), by Kansas City ceramic artist Meredith Host, available through Belger Crane Yard, KC Urban Potters and www.meredithhost.com. And you can get a free tree planted in the public right-of-way in front of your house, thanks to the Heartland Tree Alliance (HTA), a program of environmental non-profit Bridging The Gap and Kansas City Missouri Parks and Recreation. 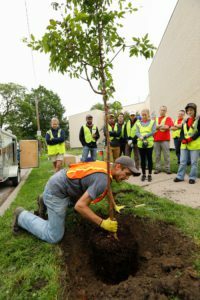 Here’s the deal: “To receive your free tree, you must be a Kansas City resident, have adequate planting space as defined by ordinance and be willing to ‘adopt’ a tree by providing supplemental water over the next two years.” Heartland Tree Alliance Program Manager Sarah Crowder says they are scouting for October plantings now. For more information and to reserve a free tree tinyurl.com/treesforKCMO.